I started out thinking I was going to make a cube and I was going to use something to define the straight lines. I couldn’t decide what to use to make reasonably straight lines, though. 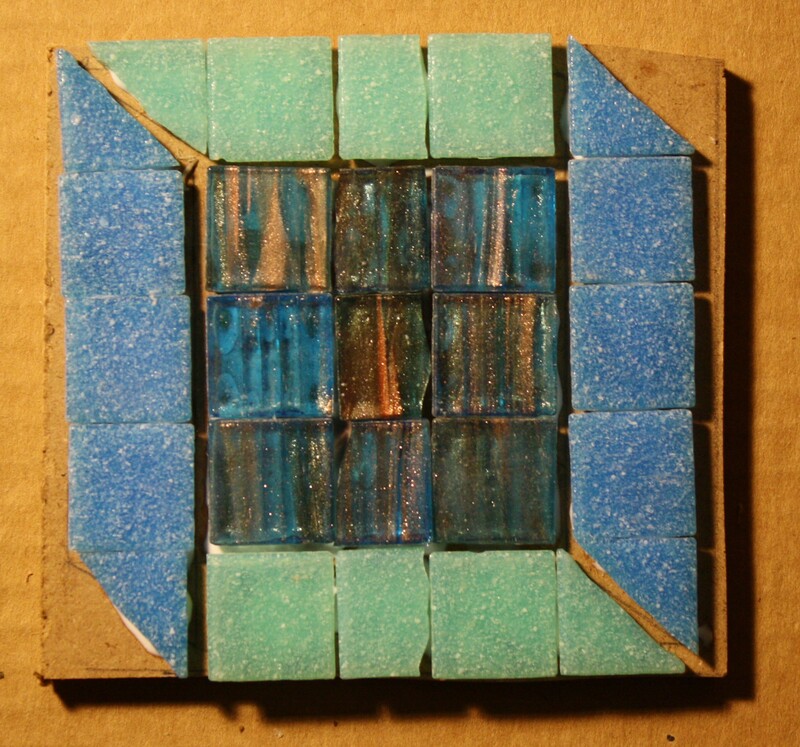 Then I decided that the grout can be the straight lines and I would just use glass for the flat surfaces. Then when I put it together it got simplified. I can still see the cube, sort of.